So you are finding your financial journey boring and lacking spark? 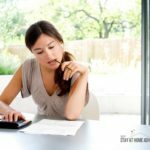 Good news that if you are seeking motivation here are 5 ideas to add more spark to your finances that helped us when we need some financial motivation! Let’s face it, when you start your financial journey, you start with this excitement and motivation. Then you realize that this financial journey is a tough one and not as easy as you thought. Thanks to the financial mess we got ourselves into, this financial journey at times can be a bit not so exciting. At times, the motivation is dwindling and its becoming boring. For these reasons alone, you need to add more spark to your finances to spice this journey up! When things get monotonous, we try to find ways to spark it up; why not our debt freedom journey? We know the road to financial freedom is not easy, and realizing that the majority of the time it's our own stupid fault we got ourselves into debt. Adding some spark to your finances will help you when you want to give up. How do we add more spark to our finances? Good question, I got the answers for you! Here are 5 ways to add more spark to your finances. 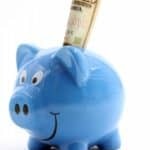 These tips will surely make things interesting and fun during your financial journey. 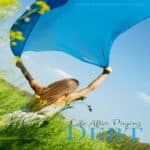 If you are awesome enough to be debt free, you know sometimes doing the same budget over and over again tend to be boring, so here is something for you too. Please keep in mind that these financial tips are meant to help and should be done if you are able to. Please don’t feel the need that THIS HAS TO BE DONE so I can survive. Add a financial challenge to your mix – If you love challenges, and it's something that you can do, then find a financial challenge that is right for you. 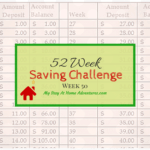 Last year I did the 52 Week Saving Challenge and I truly enjoyed it. It added an extra “spark” of financial excitement to the mix. Create small attainable goals – We know that the final goal is to become debt free; however, we know that it's going to take time, a long time. That being said, creating small goals will help spark the financial journey. Create a 3 month goal, or a month goal, where you decide you want to save $20 more than you intended. By creating small achievable goals, you won’t get bored, frustrated, or worst, lack motivation. Keeping goals and achieving them will motivate you along the journey. 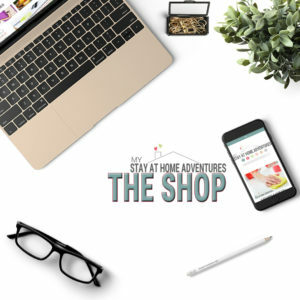 Find fun ways to make extra cash – I think this is something I enjoy doing. 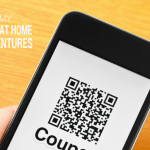 Finding ways to make extra money doesn't have to be dull and boring. Having a yard sale, with the entire family on board, will be fun to do. Teaching your children the value of a dollar and making money for stuff you no longer want changes the mood around. You can find so many ways to earn cash, even if you don’t want to deal with the work of a yard sale. You can have fun earning free gift cards using Swagbucks. Stay positive – There’s nothing more irritating than feeling like everything is against you. Yes, we got debt. Yes, we are doing what we can to kill it and take control of our finances; but if during this financial journey you can’t seem to see the positive, then there’s a problem. When things don’t go right, always look for the positive. If the car breaks down, be mad/angry for a minute, then concentrate on a solution and try to find the positive. I remember blaming everything, and everyone, for misfortunes. The reality was that I didn’t have any money saved. We know that sh$t happens, yet somehow I felt like everything in my life was going wrong. I so dwell on that. I compared myself to others, I blamed them for being “rich” and having it easy. Once you start your journey, this is something that you will see. Some might not like the outcome of what they see. You are responsible for your finances; no one else. Blaming others, or staying negative, accomplish nothing. You will fall back to your financial mess. Seeing things in a positive light makes this financial journey an awesome one. So there you have ‘how to add more spark to your finances.' As you can see, your financial journey doesn’t have to be a boring one. Remember that depending on what your financial goals are, or the amount of debt you have, this could be a long journey. Why not add some spark to it and enjoy the ride? 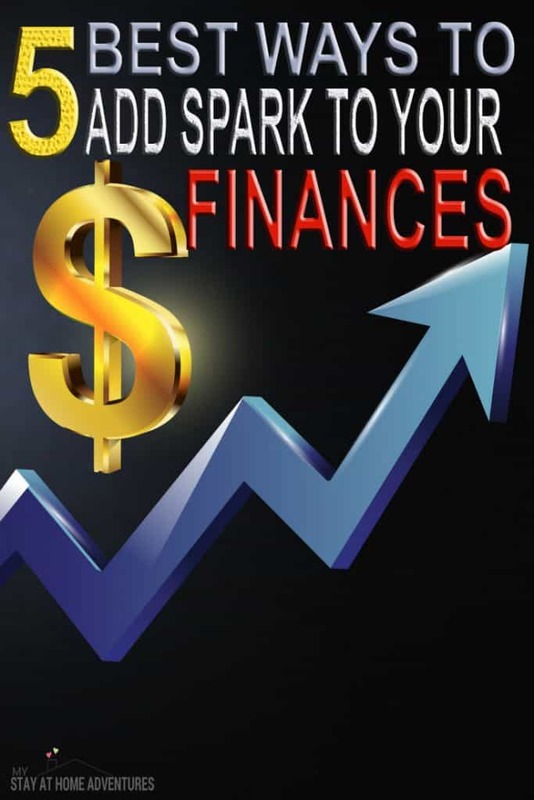 What other “spark” do you add to your finances?